Shopping 101 | Make Money from Shopping Online! Hello! I just wanted to make a quick post about something we all love...shopping and money. If you're like me then shopping online is super convenient- you can buy everything you want or need in your pajamas and it arrives at your step in a matter of days. But what if I told you that you can not only shop but make money while you do it? It is possible and I am going to tell you how! It's a website called Ebates.com. Have you ever heard of it? If not, let me explain. First got to Ebates.com and make an account- all you need is name, email, password and address. 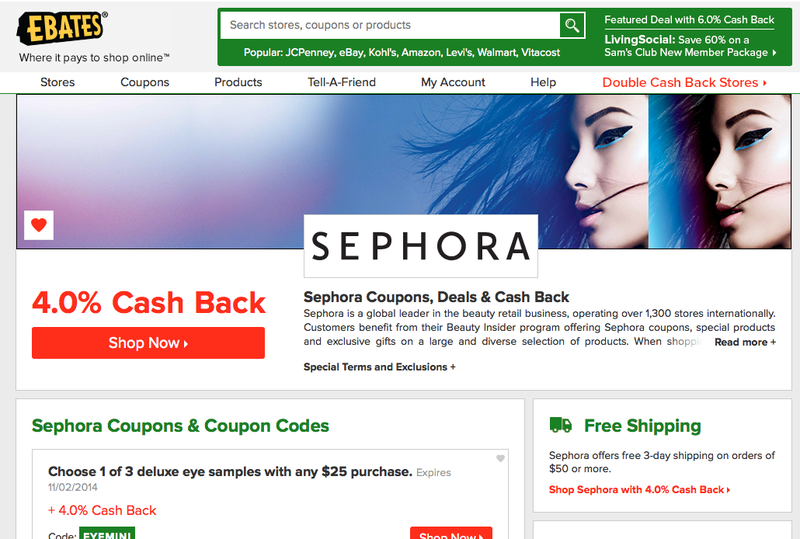 Next, before you go shopping online at any store (let's use Sephora as the example) you go to Ebates.com and search for Sephora. You go to Sephora's page and it will tell you have much percent back they are giving that day for your purchase. All you have to do is click Shop now and that's it. As long as you use that link before making your purchase you will get back whatever percentage they are offering that day. So if you did this and made a $50 purchase at Sephora, you would get back $2. Now you might be wondering, HOW DO I GET THE MONEY? It's simple. A few days after your purchase is processed Ebates.com will send you an email telling you how much money you got back. From there, there are different earning periods. At the end of the earning period Ebates.com will either send you a check or put the money directly into your Paypal account (you decide). And that's it. This earning period I already earned $25 which might not seem a lot but over time you can accumulate al ot. For example, I ordered a new pair of boots from Nordstroms and I got back $17. It's additional savings on top of savings! Another plus is that Ebates also tells you what coupons are currently in affect for that website. Have you tried Ebates before? Comment down below!